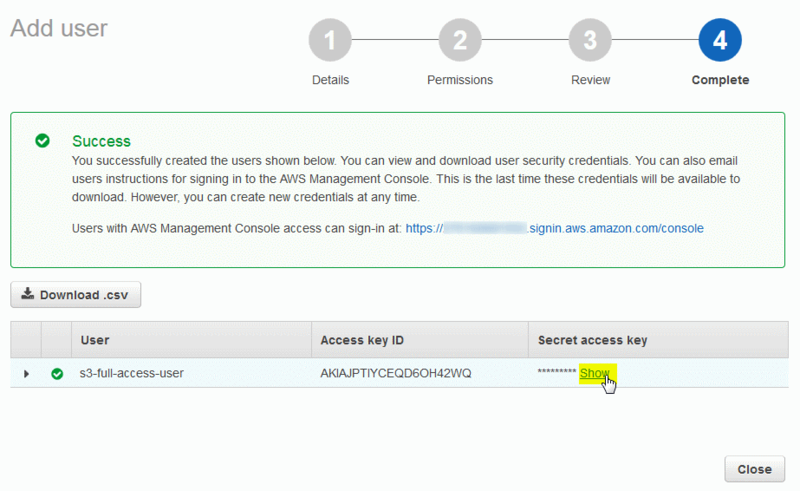 AWS Access Keys - Access Key Id and Secret Acces Key. 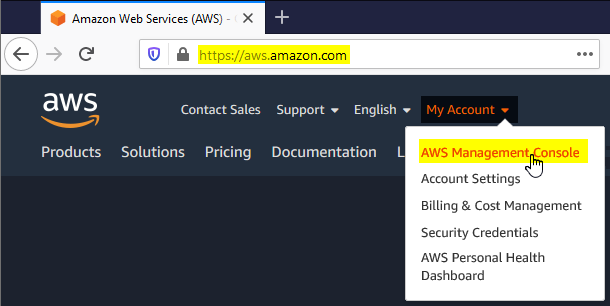 Where to obtain Access Keys and how to use them to connect Amazon S3. Access Keys - Access Key Id and Secret Acces Key. How to generate Access Keys. 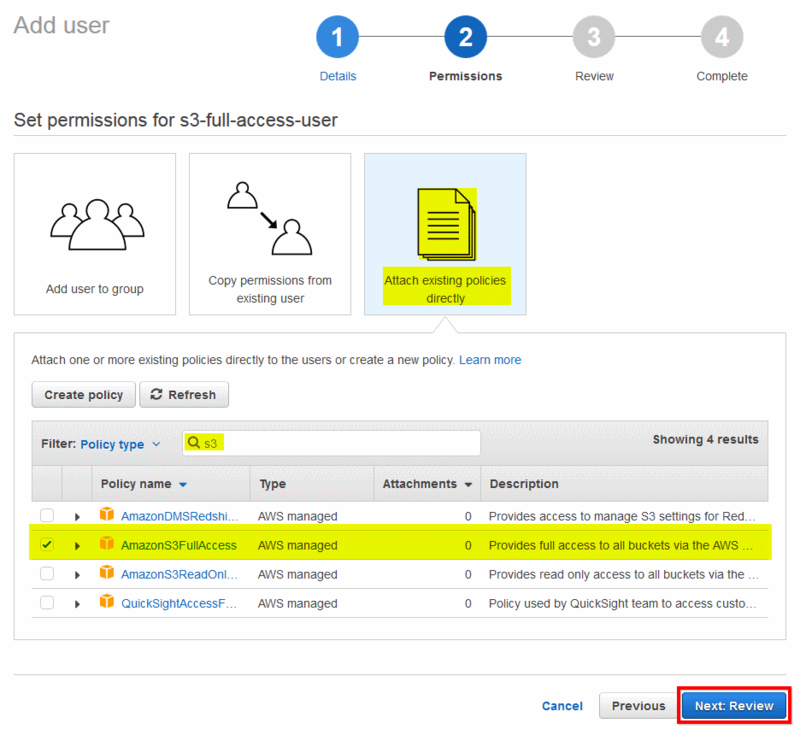 Access Keys are used to sign the requests you send to Amazon S3. 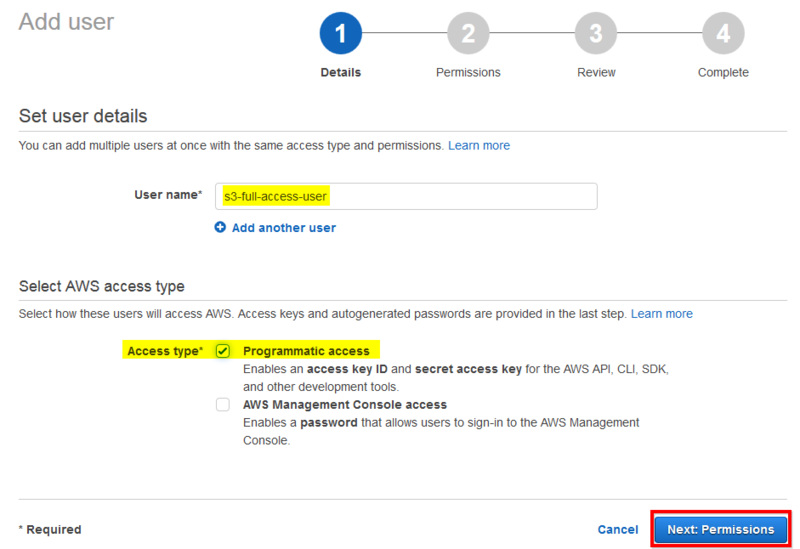 Like the Username/Password pair you use to access your AWS Management Console, Access Key Id and Secret Access Key are used for programmatic (API) access to AWS services. 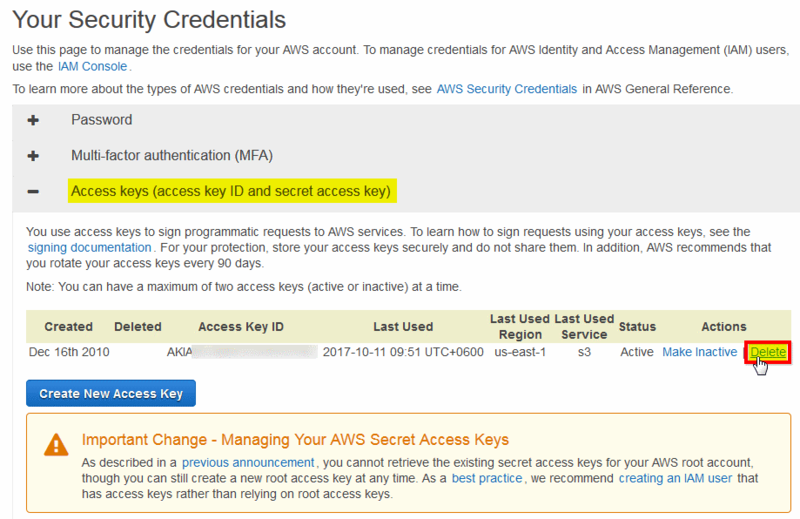 You can manage your Access Keys in AWS Management Console. 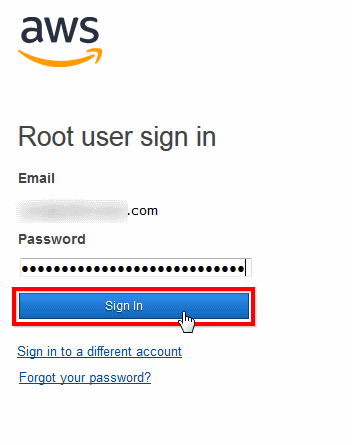 Root Access Keys provide unlimited access to your AWS resources. It's not recommended to use them in normal situations. 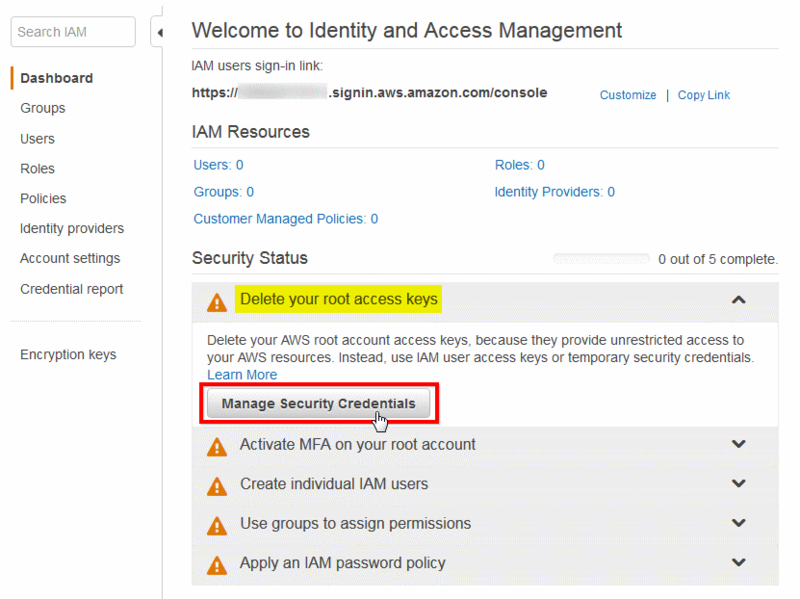 AWS recommends to delete existing Root Access Keys and create IAM user and Access Keys limited to specific service or resource (see below). 4. 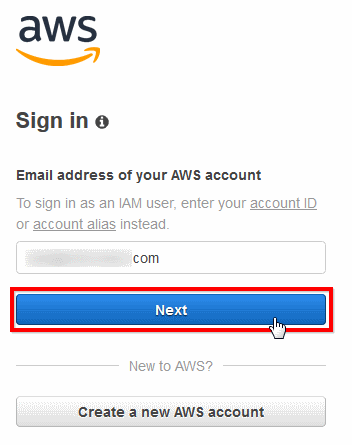 Type the IAM in the search box and choose the IAM service from the drop-down list. 5. Navigate to Security Status and expand the Delete your root access keys section. 9. Click the Delete link next to your access keys row. 10. Confirm Access Keys deletion. 11. Your Root Access Keys are deleted. 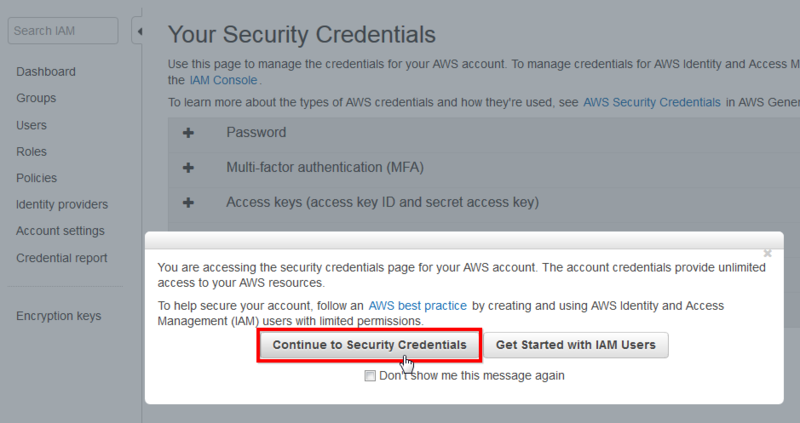 Now you can create IAM user and Access Keys limited to specific service or resource (see below). Be sure to replace your root access keys with your IAM access keys in any programs/scripts you are currently using. 3. 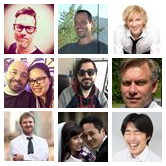 Specify User Name (any user name of your choice). 7. Type s3 in the Filter field. 12. Copy Access key ID and Secret access key into the safe place. 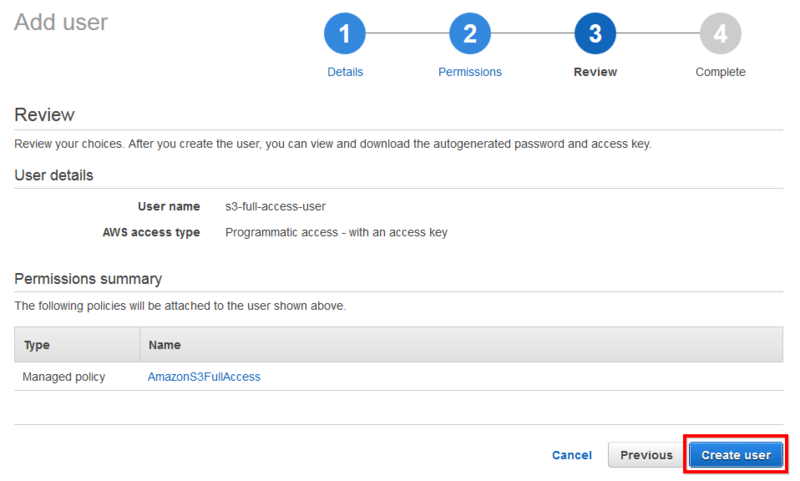 You can now use your access keys to mount Amazon S3 bucket.